Patrick Caldwell is breathing a few sighs of relief. Bloomberg reports that the ex-deputy assistant director of the Secret Service had conspiracy charges against him thrown out last week. In the first prosecution of alleged foreign bribery charges based on a government sting operation run inside the country, US District Judge Richard Leon of D.C. threw out conspiracy charges against Caldwell and five other security company executives, according to Bloomberg, although the other five executives still face foreign bribery charges. 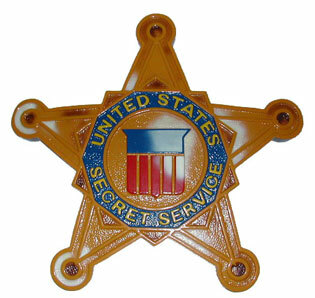 The prosecution alleged that R. Patrick Caldwell, an ex-deputy assistant director at the Secret Service and former chief executive officer of Protective Products of America, partnered in an illegal business when he agreed to pay bribes to an undercover FBI agent posing as a representative Gabon, the West African nation. Posted: 12/27/11 at 9:45 AM under FBI, News Story.